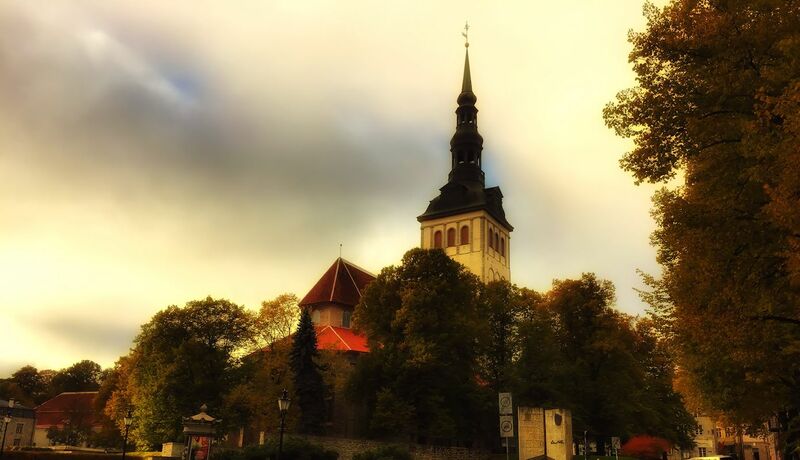 There are many Churches in Tallinn - this one: Rootsi Mihkli kirik in Old Town. EELK St Michael's Church in the Old Town of Tallinn has for centuries been an important religious and spiritual centre for the Estonian Swedes. Due to its close connections with Nordic countries, is is becoming a sort of Nordic centre as well. The bigger part of the 300-strong congregation is made up of Estonian Swedes and their offspring. In addition to St Michael's own parish, German and Finnish parishes use the premises too. Owing to its good acoustics St Michael's Church is a suitable place for concerts. The church also shelters Rüütli Folk High school, Swedish children's play school and the church museum of the Estonian Swedes.